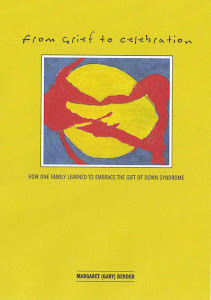 Thank you to all who responded to my request for questions so I could continue to write every day in support of down syndrome awareness. 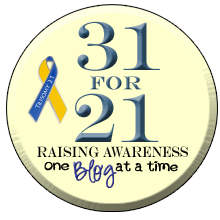 I have never participated in this 31 days of blogging and it is hard to be exciting and engaged every day! This is question 2 of 3. Question - How did Alex learn how to stay home alone? When our oldest was 11, Alex 10 and Tommy 8 we started leaving the kids at home for very short periods of time. Courtney has always been very responsible and with our cell phones we felt the kids were safe. As Courtney got older we were comfortable leaving the kids at night to go on "dates" (a much needed break when raising three kids). This worked well until Courtney decided going out with her friends was more fun than staying home with her two siblings. Having had a small taste of freedom, this was tough for us, so we made Tommy and Alex "babysitters" of each other at a rate of $1.00/hour. The kids were 11 and 13 at the times, and could always reach us by cell phone. This worked quite well and gradually the $1.00/hour rate was reduced to $0/hour. As Tom got older he also decided going out with friends was more fun than staying home with his sister. Alex was about 14 at this time, and we had a brief moment of panic that our much earned freedom was compromised. After regaining my composure I did what I always try to do when under duress...I asked Alex and learned she was up for the "home alone" challenge. Today, at 19 Alex can stay home with her 17 year brother overnight. We have left the kids twice for two nights and it was a non-event. Independence from your kids is a life changing event and even if one of those kids has down syndrome it is something this is possible! I would have posted this question as well if I'd have thought of it! We have already started working on skills with Cate that will come in handy when the time comes - making a sandwich, getting a snack. Some days it seems like it is right around the corner, some days it seems like it will be forever! yes, at the time it sure did feel like it was forever....but now it doesn't! Well, in so many ways Kayli is ready for some independence but then just today she made herself some toast and (neatly) placed the toast cover on while it was toasting - acchhhh fire hazard. It might be easier if she had older sibs I suppose.... Her motivation is low. You have to appreciate the sense of putting things where they belong :) We used to have to baby proof our house - now it should be down syndrome proof!